New York may not be known as the greenest city on the planet. But on Earth Day, the city gives Mother Nature the celebration she deserves. Looking for NYC outdoor activities to enjoy on Earth Day? From Earth Day celebrations to simply taking in the sun, sea, and salty air, these are the best things to see and do this year. Attend the largest Earth Day event in the world. The annual Earth Day New York event in Union Square features environmental non-profits that will suggest simple, green changes you can make in your life, plus kids’ activities and live performances. Don’t miss the world-famous, year-round Greenmarket (open every Monday, Wednesday, Friday, and Saturday), where you’ll find more than 100 regional farmers, fishers, and bakers selling their fresh fruits and vegetables, heritage meats, farmstead cheeses, artisan breads, jams, pickles, cut flowers, wine, and much more. Enjoy a car-free walk on Broadway. 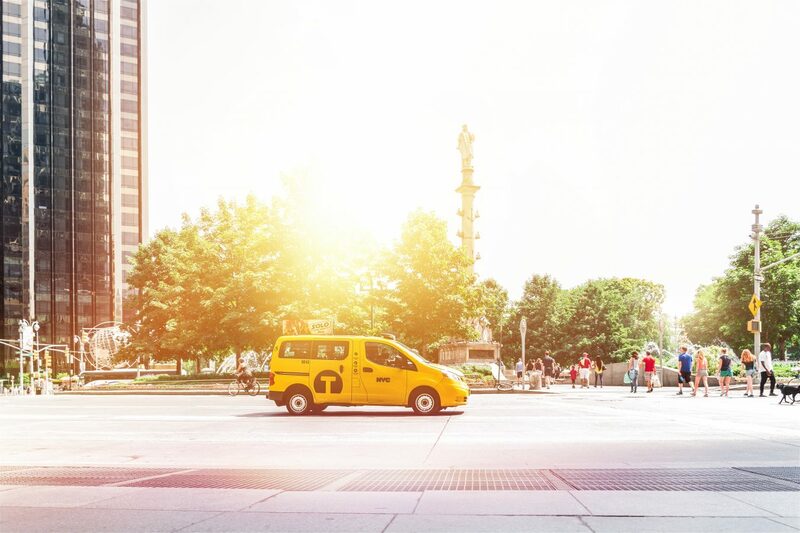 Taxis and their horns may be the most recognizable sights and sounds of New York. But on Earth Day, you’ll have the chance to explore New York’s busiest thoroughfare without having to look both ways. A one-mile stretch of Broadway from 26th Street to 47th Street will be completely free of cars. Along Broadway, see the famous Macy’s in Herald Square, shop Strand Book Store’s Times Square kiosk, or buy theater tickets at TKTS Times Square. Take an Earth Day “5K” Green Tour of the city. There’s no running required on this 5K. Get outside on this walking tour that has, in the past, included a rooftop farm, an underground park, and a compositing site. Natural Gourmet Institute, a New York-based culinary school that focuses on heath in the culinary arts, provides a delicious and nutritious lunch to fuel the excursion around Manhattan. Make the most of a sunny day and catch the sea breeze on the NYC Ferry. From lower Manhattan, jet across the East River and under the famous Brooklyn Bridge to destinations such as DUMBO, Williamsburg, and Greenpoint. All along the East River waterfront, there are plenty of parks where you can enjoy time outdoors. Don’t miss Brooklyn Bridge Park, with its skyline views, or Dominio Park, where you can enjoy tacos, snacks, and cocktails outdoors. Enjoy an action-packed day outdoors this Earth Day when you book an exclusive offer from Hotel 48LEX New York.